I think it's been a week or two since I've posted anything - life steps in and makes up put down our art supplies and handle more important matters. I've tried locking my office/craft room door - but life always gets in! LOL! I still have not mastered how to get the correct size photo on my blog - I need to put some serious time into working with those parameters. But, you can click on the picture and enlarge it for a better view. 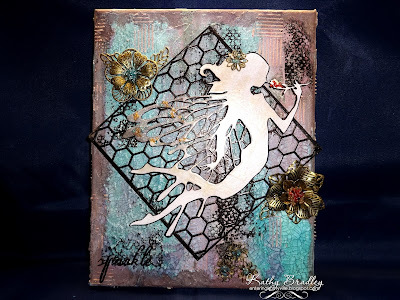 This piece is for July's Lindy's Stamp Gang Challenge. If you click on the link directly under the graphic - it will take you to the challenge. If you click on the link under the colors - it will take you to Lindy's shop! This is the list of sprays and embossing powders - and they are all awesome. Thanks for taking a look see! So beautiful Kathy! I loved the design and the texture! This is gorgeous! I LOVE the mermaid...and gorgeous texture too! 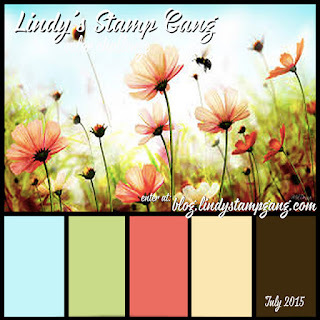 Gorgeous Kathy!Thank you for joining the Lindy’s Stamp Gang color challenge! Love your background and the crackle effect! 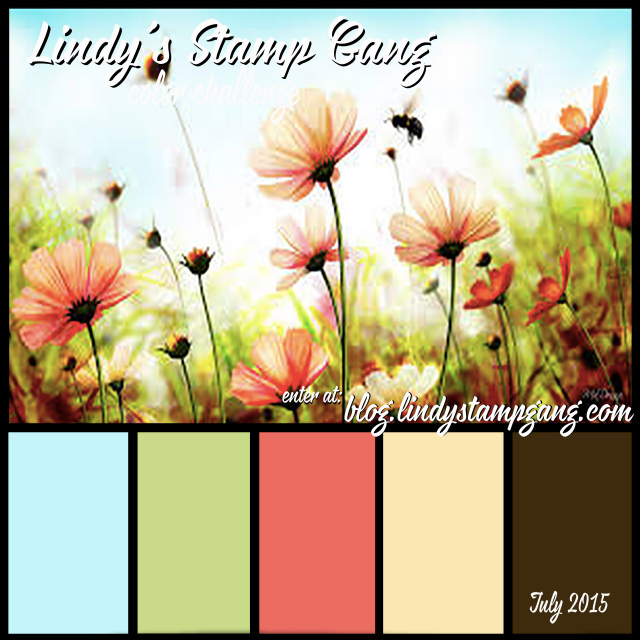 Thanks for playing with us at Lindy's Stamp Gang! This is a beautiful canvas Kathy!! I love how the fairy simply takes center stage in a beautiful sea of color!! Great job!! Thank you for joining us at Lindys for the Color Challenge! Gorgeous canvas Kathy! The background looks amazing! So soft and serene. I hope you have a great weekend! A really beautiful canvas, I love the mermaid and the textures you have added.